This is an art ! Is here where my mind start to blow up!!! If you hate this track, you really haven´t paid attention to the past songs of Cosmic Gate & Ferry Corsten. Fantastic *-* I love it!! Whoah not enough headroom to realy make it bang. This is some good stuff ! 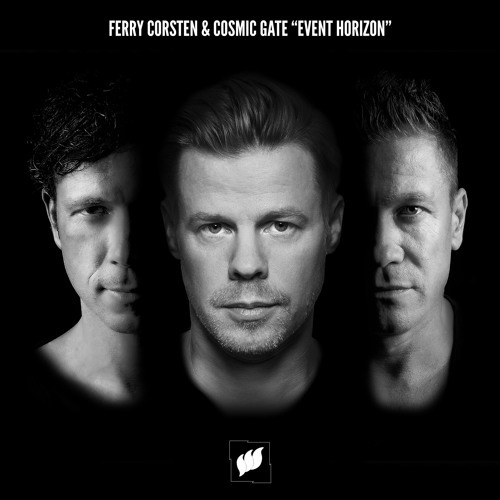 Buy Ferry Corsten & Cosmic Gate - Event Horizon [PREVIEW] OUT NOW! Users who like Ferry Corsten & Cosmic Gate - Event Horizon [PREVIEW] OUT NOW! Users who reposted Ferry Corsten & Cosmic Gate - Event Horizon [PREVIEW] OUT NOW! Playlists containing Ferry Corsten & Cosmic Gate - Event Horizon [PREVIEW] OUT NOW! More tracks like Ferry Corsten & Cosmic Gate - Event Horizon [PREVIEW] OUT NOW!